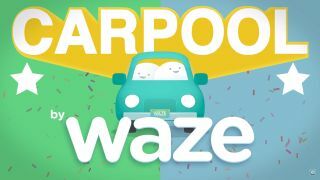 Your commute could be in for a change, as Google expands its sort-of-competitor to Uber and Lyft, Waze Carpool. The search giant has released a Waze Rider app, which taps Waze's traffic navigation system so commuters can share rides to and from work. The service is successfully out of beta and live for residents in San Francisco's Bay Area, according to The Wall Street Journal. While still far from having the reach of apps like Uber and co, Waze Rider is a much different beast – one that concentrates on the day-to-day commute rather than the on-demand trips that make up the competition's bread-and-butter. For starters, drivers who sign up for Waze Rider aren't in it for the money. The service pays drivers a scant $0.54/mile (about £0.40/AU$0.70 per mile) and limits them to two trips per day. This means drivers are encouraged to pick up fellow commuters on the way to and from their current job rather than patrol for customers, as the benefits are meant to chip in for gas on a trip you already planned on taking. Because Waze Rider drivers aren't intended to be employees, Google (and to some extent, the law) is less scrutinizing when it comes to qualifying applicants, who only need a general schedule and home/work location to behind picking up carpoolers. While this means just about anyone can shave down the cost of their commute – nor will drivers have to beg for good reviews to keep their job – it also means a lack of background checks, drivers insurance, or other safety concerns that could potentially become issues for Waze Rider as it expands. Uber vs Lyft: Which cab-on-call is for you?